The American Association of Managed Care Nurses is a family of RNs, LPNs, NPs, and nursing students. Our members range from nurses aspiring to understand their role within managed care nursing to nurses who have been working within the industry for years. We provide you with the education and resources you need to stay current. Conferences are held every Spring in Orlando, FL & every Fall in Las Vegas, NV. Nurses, Medical Directors and other health care executives can attend and are able to earn 14 to 18 hours of continuing education credits at each. Members have the opportunity to register for free. 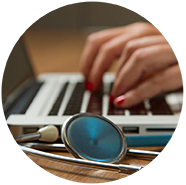 AAMCN has partnered with Pfizer to give nurses and healthcare professionals access to this interactive case management resource that provides training modules, downloadable toolkits, detailed articles and reprints, as well as external resources that relate with each topic. 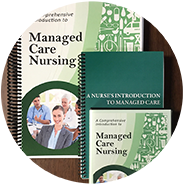 AAMCN's official journal for the business and clinical sides of managed care nursing. Keep informed, submit articles, reach thousands. 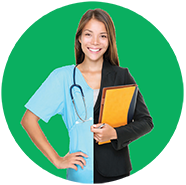 The Home Study course prepares you for the exam to become a Certified Managed Care Nurse. CNE accredited presentations, quarterly live webinars and past conference sessions for members.